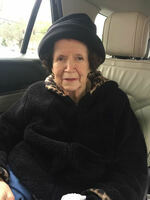 Provide comfort for the family of Ruth Rose with a meaningful gesture of sympathy. Ruth Taylor Rose, 80, of Adairsville passed away on Wednesday, January 30, 2019 at her residence. Born in Cleveland, Georgia on June 22, 1938 she was the daughter of the late Edd Martin Taylor and the late Frances Jenkins Taylor. She was also preceded in death by her husband, Jon Carson Rose; and her daughter, Jennifer Lynn Rose. Ruth was a member of East Calhoun Church of God and a retiree of Sun Trust Mortgage where she worked for twenty years. She later started a second career at Target. Ruth was known as a feisty, spunky lady who was particular about her appearance. She had a great sense of humor and loved sewing, reading, shopping and having her hair styled but most of all she loved her family and especially her grandchildren. Survivors include her daughter and son-in-law, Yvonne and David Clarence of Adairsville; and her grandchildren, Rachel Hamill of Adairsville, and James Hamill of Adairsville. Funeral services will be held at 2:00 p.m. on Saturday, February 2, 2019 in the chapel of Parnick Jennings Funeral Home and Cremation Services. Interment will follow in Oak Hill Cemetery. The family will receive friends from 12:00 p.m. -1:30 p.m. on Saturday prior to the service. Parnick Jennings Funeral Home and Cremation Services is honored to serve the family of Ruth Taylor Rose; please visit www.parnickjenningsfuneral.com to share memories or to leave a condolence message. To send flowers in memory of Ruth Rose , please visit our Heartfelt Sympathies Store. Provide comfort for the family of Ruth Rose by sending flowers. May the family of Ruth Rose please accept my sincere condolences hoping you find comfort in God's words at Acts 24:15 and Psalm 37:29.